Looking for an alarm company broker to assist you in the sale of your security alarm business? From experience and knowledge to access to well qualified buyers and the ability to negotiate successfully on your behalf, there are many factors to consider when it comes to selecting the right alarm company broker. What Sets Alarm Company Broker Acquisition & Funding Services Apart? Here, Rory Russell, owner of Acquisition and Funding Services, speaks about the many benefits of working with AFS to sell your alarm business! Ready to Move Forward with the Sale of Your Alarm Company? Contact AFS Today! 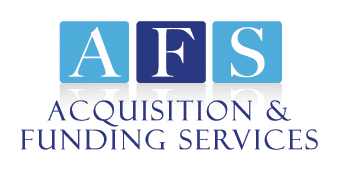 From a free, confidential valuation of your alarm company to initiate the selling process to assistance with preparing your alarm company for sale and ultimately negotiating the sale for maximum profit to a qualified buyer, AFS has you covered! Working with industry leader Rory Russell, you’ll feel comfortable and confident as you navigate the sale of your alarm company. Ready to take the next step towards doing what’s best for your business? Contact Rory Russell at AFS today at (800) 354-3863 (Rory’s personal cell) to find out how AFS can assist you in selling your alarm business for maximum profit, or fill out or online contact form to learn more about your options. Curious about how AFS has helped other clients in your industry? Be sure to check out our client testimonials for first hand accounts about working with AFS and read our post about the top reasons alarm business owners choose to work with AFS.